Plymouth University academic Ian Sherriff has been appointed by the UK’s leading dementia support and research charity, Alzheimer’s Society, as an Ambassador. As Academic Partnership Lead for Dementia at Plymouth University Peninsula Schools of Medicine and Dentistry, Ian has been involved in numerous projects designed to improve the lives of people with dementia. His work includes an ambition to support communities to become more dementia-friendly. In particular he is passionate about supporting rural communities to better support people with dementia. Ian is a member of the Prime Minister’s Dementia Friendly Communities Challenge Group and chairs the South and South West of England for this group. 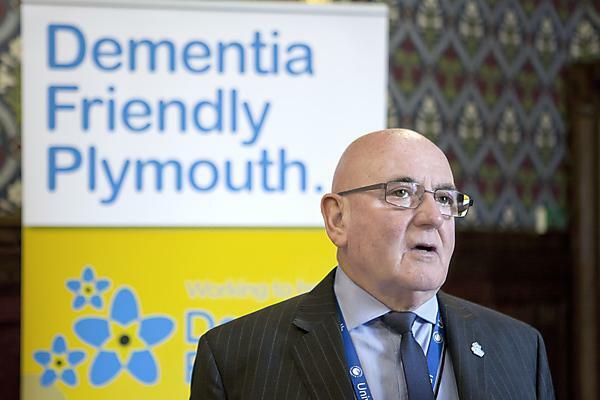 He is also a founder member and chair of the Plymouth Dementia Action Alliance as well as chair of the Prime Minister’s Task and Finish group for Rural Dementia and the National Air Transport dementia group. Established in 2007, the Alzheimer’s Society Vice-presidents, patrons and ambassadors’ programme brings together key supporters in the fields of business, the arts, science, politics, the media and those living with dementia who are able to use their skills to champion the rights of people with dementia and their carers. "Our congratulations go to Ian for this superb accolade. His work in the field of dementia is both tireless and effective and contributes greatly to our national and international standing in this area. Plymouth University was the first dementia-friendly university in the country, so it is highly fitting that one of our team should be an Alzheimer's Society Ambassador."